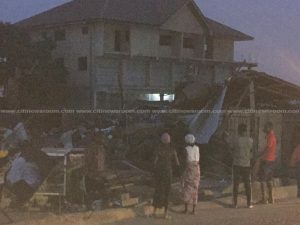 The Minister of Interior, Ambrose Dery, has by an Executive Instrument imposed a curfew on Drobo, Japekrom and six other communities in the Jaman South Municipality of the Brong Ahafo Region, following a shooting incident that has taken two lives and injured several others. The Electoral Commission of Ghana (EC) to set up a committee made up of representatives of registered Political Parties and Civil Society Organizations for the implementation of the Representation of the People Amendment Act (ROPAA. The main opposition National Democratic Congress (NDC), in collaboration with the Centre for Social Democracy and the Friedrich-Ebert-Stiftung Foundation, on Wednesday, 17 October 2018 organised the maiden edition of its pre-election debate for aspirants in the upcoming national executive elections of the NDC. President of the Ghana Bankers Association Alhassan Andani has stated that Ghana’s banking sector is still strong despite current challenges confronting it. 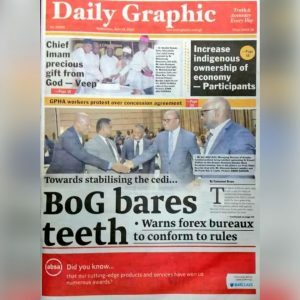 President and Chairman of Group Nduom (GN), Dr Papa Kwesi Nduom, says it is not true, rumours making rounds that he used depositors’ monies with GN Bank Ghana to open a new bank in the United States of America (USA, thereby affecting the operations of the bank in Ghana, hence the recent panic withdrawals being experienced by the bank. Executives of the governing New Patriotic Party (NPP) of the Tamale South and Central constituencies in the Northern region have arrived in Accra to meet President Akufo-Addo to officially present to him their petition calling for the removal of the Tamale Mayor, Iddrisu Musah Superior. The Birim North District Assembly has condemned what it described as the “unprofessional manner” in which Police handled some demonstrators in the enclave days ago. Chelsea hero Michael Essien has reiterated his love for Jose Mourinho, insisting that the Manchester United manager will always stand as his favourite. Deputy Minister for Foreign Affairs and Regional Integration, Alhaji Mohammed Habib Tijanni, has donated a building and a pickup vehicle two institutions in the Yendi Municipality in the Northern Region. The campaign of National Democratic Congress (NDC) presidential hopeful, Augustus Goosie Tanoh has received a massive boost with endorsement of son of first president of Ghana and African liberation icon Kwame Nkrumah, Sekou. 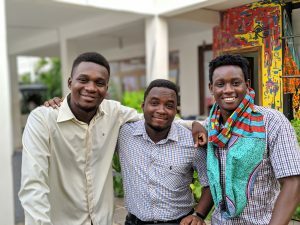 There’s a lot to be worried about if sports or football talk remains as ‘trivial and irrelevant’ as it has become today, Vice President of the Normalisation Committee, Lucy Quist has said. The government has been advised to prioritize the One-District-One-Factory programme as a main source of creating sustainable employment for the increasing rate of graduates in the country.